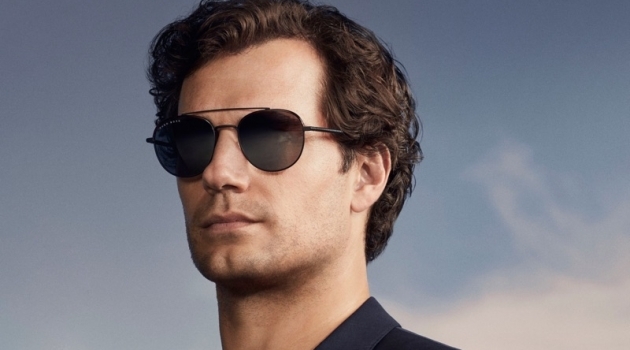 American Vogue covers featuring male stars. Since its first issue in 1892, Vogue has only had eight men grace its cover, beginning in 1992 with actor Richard Gere. Posing with then wife Cindy Crawford, Gere was one of two couples to appear on the cover of Vogue. Before their highly anticipated wedding, Kanye West and Kim Kardashian became the second Vogue couple. Due to Kardashian's reality fame, their cover was also one of Vogue's most controversial stories. Another talked about cover was Lebron James' April 2008 cover with model Gisele Bundchen. Suggesting racial undertones, critics compared the cover image to a famous illustration of King Kong, grabbing a woman in a dress featuring a similar silhouette. Cindy Crawford covers the November 1992 issue of Vogue with her now ex-husband Richard Gere. 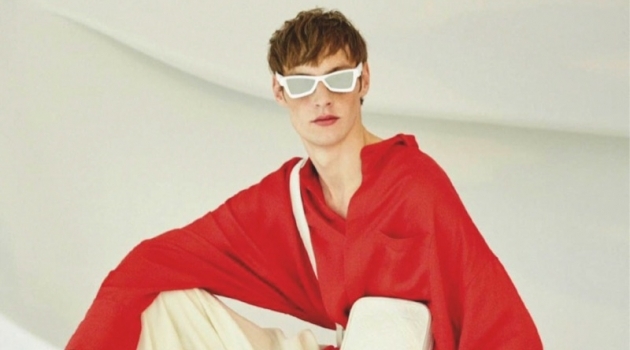 Bypassing controversy, Vogue played it safe by the time it featured another man on its cover. Ryan Lochte joined fellow Olympians Hope Solo and Serena Williams for a patriotic cover for June 2012. Vogue's most recent cover with a male star featured actor Ben Stiller, promoting Zoolander 2, alongside costar Penélope Cruz. 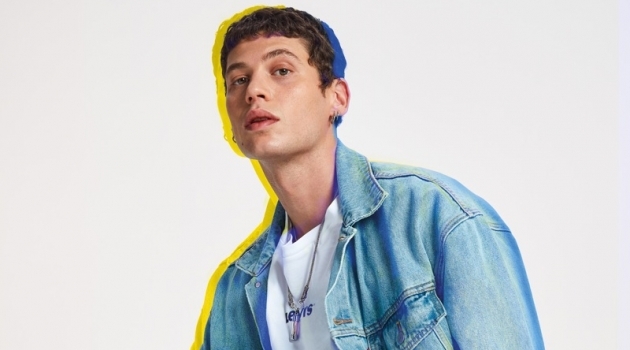 An interesting takeaway from Vogue's covers featuring men is the fact that three models have been photographed with famous men, supermodels Gisele Bundchen and Gigi Hadid have shot two covers, two African American men have had the honor of covering Vogue, George Clooney's cover payed an homage to Richard Gere's and finally, two actors, two musicians and three athletes have covered Vogue. 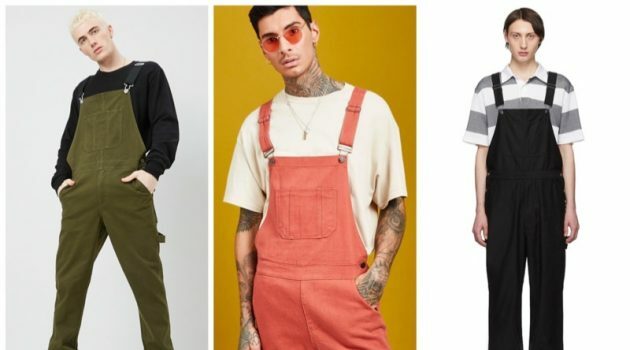 Singer and hitmaker Pharrell appeared on the cover of a special edition of Vogue for its December 2017 issue. George Clooney covers the June 2000 issue of Vogue with supermodel Gisele Bundchen. 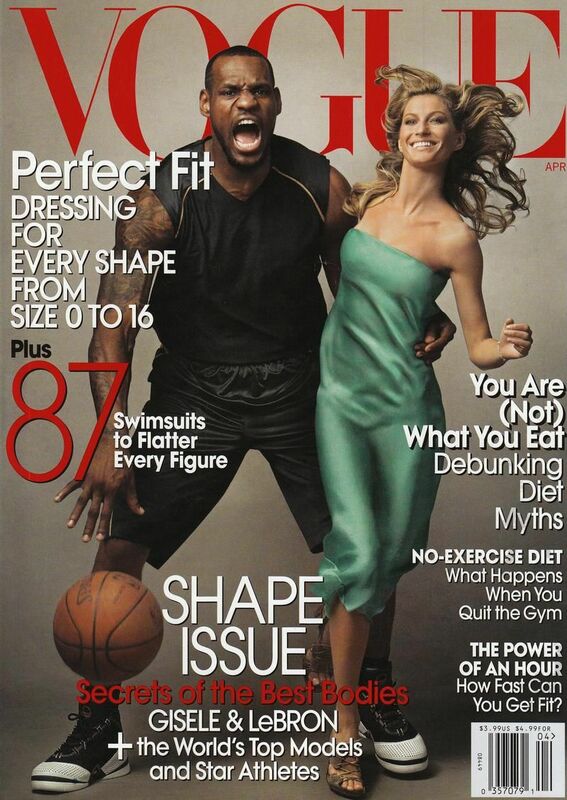 Gisele Bundchen nabs her second his and her cover with Lebron James for Vogue's April 2008 issue. Ryan Lochte is the center of attention, gracing Vogue's June 2012 cover with Hope Solo and Serena Williams. 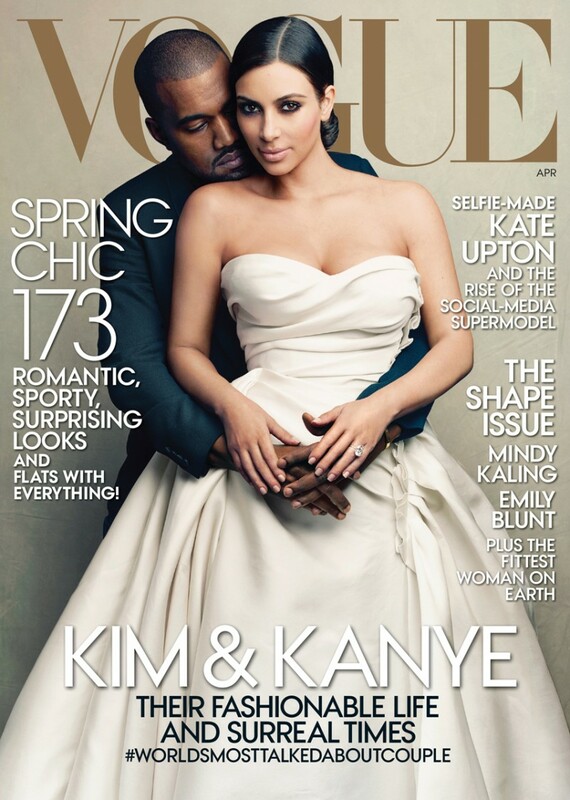 Kanye West covers Vogue's April 2014 issue with his now wife Kim Kardashian. 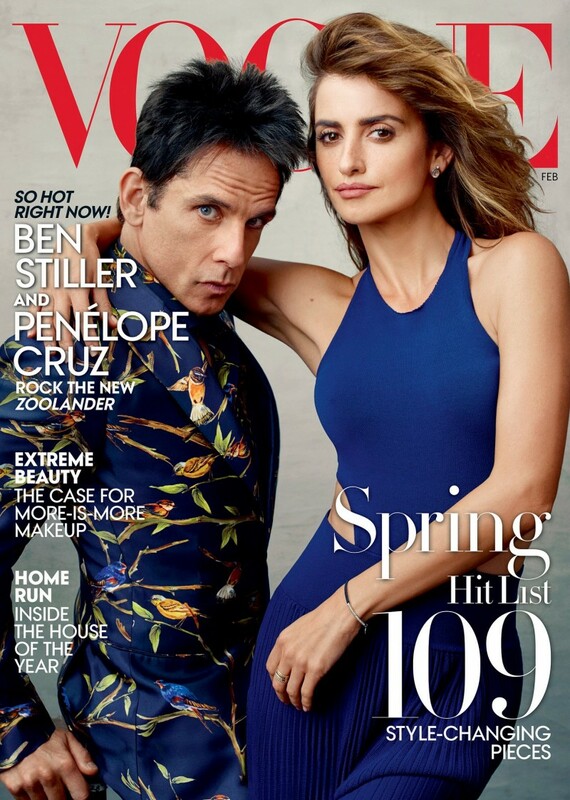 Ben Stiller promotes Zoolander 2, gracing the February 2016 cover of Vogue with costar Penélope Cruz. 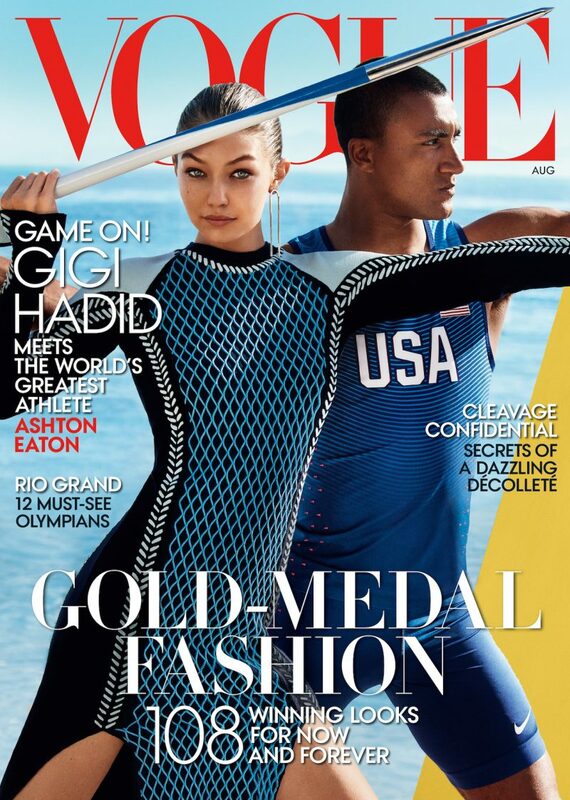 Gigi Hadid and Olympian athlete Ashton Eaton cover the August 2016 issue of Vogue. Gigi Hadid and boyfriend Zayn Malik cover the August 2017 issue of Vogue.